MakeOffices's K Street location in Washington, D.C. The coworking-space operator says its planned location in Philadelphia's Bourse building will share a similar design. MakeOffices, the Arlington, Va.-based coworking space operator, is opening its third Philadelphia location at the Bourse building near Independence Hall, where it will occupy the fifth floor of the 10-story historic, Beaux Arts structure. The new, 33,360-square-foot space, surrounding the atrium above the 111 S. Independence Mall East building's ground-floor food hall, is scheduled to open early next year, the company announced in a news release. 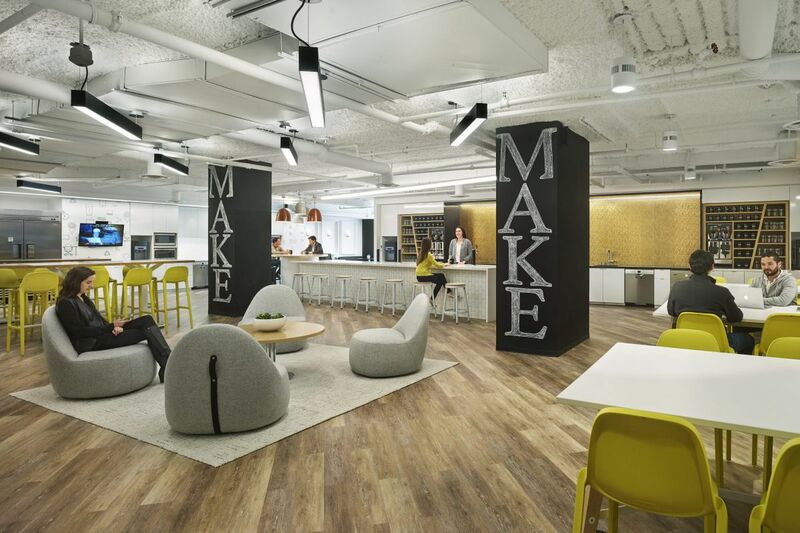 MakeOffices operates 13 coworking spaces in Chicago and the Washington, D.C., area, in addition to its Philadelphia locations at 1635 Market St. and at the Two Commerce Square complex at 2001 Market St. The Bourse building, which encompasses 229,300 square feet of offices and 38,300 of space for shops and restaurants, is undergoing a massive overhaul by MRP Realty of Washington, D.C. The former food court on its ground floor is in the midst of being upgraded into what MRP is calling the Bourse Marketplace. "The Marketplace will be a natural extension of our co-working space, which … will serve as an incredible resource to Philadelphia's burgeoning business, start-up and entrepreneurial community," Zach Wade, a former MRP principal who now serves as MakeOffices' chief executive, said in Monday's release.